The summer camp line up is here! Use code EARLY19 to save $20 off on half week camps and $40 off on full week camps until April 30th, 2019.
amount of camper scholarships available. Please contact Katrina, if you have any questions about camps, payment plans, scholarships, or technical issues. This camp is perfect for your little campers! Tikes experience swimming, fishing, hiking, silly games, crafts, campfire worship, devotions, and more. If this is your campers first time away from home - don't worry - our caring staff will be with your camper at all times. They will learn to experience God through the great outdoors. ​Camp is the best place to try new things! Your camper will experience fishing, swimming, the mud pit, human foosball, archery, a giant slip and slide, worship time, games, crafts, devotions, and even a dance party! During this action-packed half week campers will build new friendships and growing closer to God. During Jr. High Camp campers learn how to apply Christ to their lives in a practical and every day setting. Campers will enjoy activities like interactive lessons, swimming, hiking, challenge course, sports, mud pit, worship sessions, devotions, and more! Is your daughter in love with horses or maybe wants to experience equestrian life for the first time? At Horse Camp she will learn to saddle, ride, and bond with horses while also learning to prepare, walk in, and live through her faith. Wesley Jr. and Sr. High Camp is being hosted by Wesley United Methodist Church of Springfield, Missouri. If you are with one of these churches or have been invited by them then this is where you sign up! This camp is going to be one of the best camps you'll ever go to! Come enjoy hiking, swimming, sports, in depth worship, inspirational lessons, small group times, challenge course, and so much more. Performing Arts Camp (PAC) is for the theatre kid in everyone! PAC is a week-long, high energy camp that focuses on acting, performing, singing and just being creative. Campers learn more about God, the source of all creativity, through quiet time and worship. This fast-paced, full week is for kids that just can't get enough camp time! Campers will get the whole camp experience by participating in almost every activity at camp including: swimming, fishing, arts, movie nights, team challenges, sports, human foosball, and gaga ball. Plus special activities like bible con, enigma, games, crafts, and worship. This camp is perfect for little campers. Tikes experience swimming, fishing, hiking, sports, crafts, worship, devotions, and more! If this is your campers first time away from home - don't worry - our caring staff will be with your camper at all times. 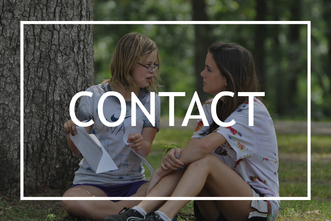 ​All Because Love Exists Camp (ABLE) is a perfect opportunity for students with disabilities experience the beauty of God in nature and to learn to grow closer to Christ. Campers can participate in activities like swimming, hiking, sports, music, art, movie nights, fun themed dinners, worship, etc. If you are looking for a way to make a difference by being a servant leader, this camp is for you. Through hands-on learning opportunities you will discover how to share your gifts a camp, in your church and in your community. 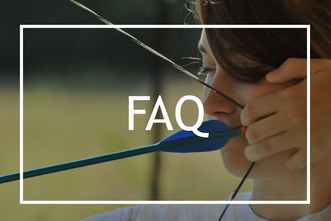 Teens can make a difference by learning to be a leader for Christ, to be fishers of men and have a fruitful faith.